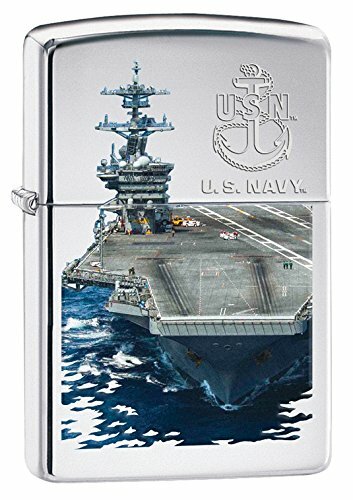 Zippo high polish Chrome navy boats. Genuine Zippo windproof lighter with distinctive Zippo “click”. all metal construction. Windproof design works virtually anywhere. Refillable for a lifetime of use for optimum performance.